Modern B2B marketers understand that the key to an effective digital content strategy is meeting customers where they’re at, and giving them what they want. With this in mind, the appeal of social media videos only makes sense. We know that billions of people are on social networks, and we know (or at least research leads us to believe) they want video. Then again, certain developments may cause us to question what we think we know. How meaningful is it, really, if X% of users are watching X% of a video while scrolling through their feeds? And how can we be confident this data is even accurate, after the whole inflated metrics fiasco? If this matter is pressing on your mind, you’re not alone. 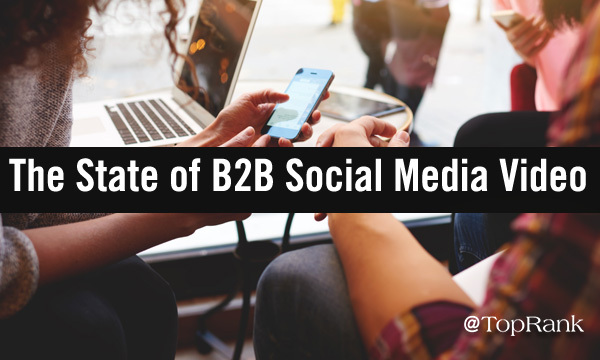 Social media is an eternally tough nut for B2B marketers to crack. In Content Marketing Institute’s (CMI) 2019 benchmarking report, fellow practitioners called out changes in social media algorithms as the second-biggest issue of importance this year, behind search algorithms. We believe that best answer content is the most reliable way to remain visible amidst Google’s unpredictable shifts. Is video the best answer for enduring social media relevance? To explore that question, let’s dive into the latest news surrounding the three most prominent social platforms for B2B marketers: Facebook, Twitter, and LinkedIn*. It was a natural direction. The engagement metrics for video were stellar, and brands couldn’t help noticing the way this content type was gaining higher placement in the platform’s feed algorithm. But later that same year, the company disclosed a “miscalculation” that led to inflation of video view numbers. This later became the subject of a lawsuit from advertisers, alleging that Facebook knowingly obscured and downplayed this information. Casey Newton of The Verge surmises this “pivot to privacy” will result in diminishing prominence of the News Feed, which would lower the impact of all public-facing content including video. It bears noting that Facebook video isn’t disappearing anytime soon. 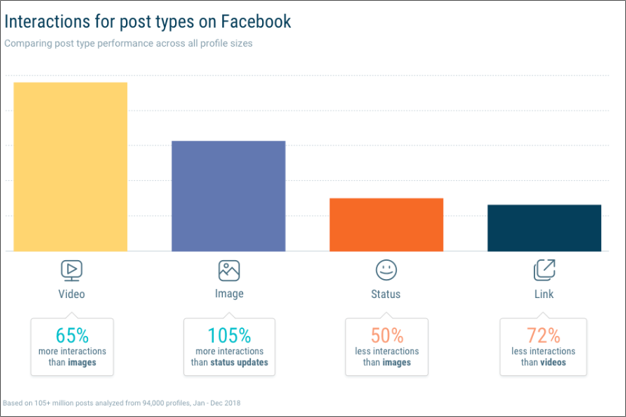 A recent study found that video posts drive more interaction on the platform than other types, and a product called Facebook Premiere launched late last year, enabling interactive video polls, pre-recorded live broadcasts, and more. As Facebook appears to be taking its foot off the gas pedal with video, Twitter is pressing right down. We wrote last year about the platform’s renewed push for live video, and it seems that was only the beginning. A post on the company’s blog earlier this month asserted that “video is reshaping digital advertising,” and called out the format’s significant inroads. Within the past few weeks, Twitter has rolled out new tools for maximizing video engagement by helping publishers understand which times of day people are most likely to watch, based on historical data. This is helpful info, since the ephemeral nature of Twitter’s feed can make it tough to nail down timing. The insights are extremely high-level so we can’t necessarily draw specific conclusions about when audience segments (say, the B2B crowd) might be more likely to engage. But it’s a start, and I suspect we’ll only see the platform steepen its commitment to growing out video capabilities for brands. LinkedIn: Let’s Do It Live! Finally, we come to the No. 1 social network for B2B lead gen. LinkedIn has made video a major focus since launching the feature for brands last summer. The big fresh development here is the platform’s brand-new live streaming video service, which debuted in February. “LinkedIn Live” is still in beta form, so it’s not available to everyone, but we can safely assume it will be soon. In the past, we’ve shared pros, cons, and examples of real-time video for content marketing. The engagement, authenticity, and accessibility are attractive perks, and now marketers will have an opportunity to tap them with more B2B-centric audiences (and deeper professional insights around viewers). TechCrunch says of LinkedIn’s vision for live video: “the plan is to cover conferences, product announcements, Q&As and other events led by influencers and mentors, office hours from a big tech company, earnings calls, graduation and awards ceremonies and more.” It’s easy to see how B2B audiences would find value in this kind of content, and you might already be seeding ideas for relevant broadcasts in your brain. There’s an old saying that change is the only constant, and it certainly applies for social media. Keeping up with all the pivots and posturing can feel exhausting. Given the relative cost of investing in video content, this is a weighty issue for marketers. Video still drives engagement on Facebook, but the platform’s heightening focus on privacy and direct messaging casts some doubt on the long-term impact. However, now is not the time to call it quits. Twitter is only increasing its commitment, building out the advertiser’s toolkit after elevating live video last year. Speaking of live video, it’s coming soon for all brands on LinkedIn, and offers an intriguing assortment of possibilities there for high-value B2B content. TopRank Marketing CEO Lee Odden is on the road again. His next stop? inOrbit 2019 Conference in Portorož, Slovenia on Thursday, March 14, 2019. Learn more here. The post Where Do Facebook, Twitter, and LinkedIn Stand With B2B Video? appeared first on Online Marketing Blog – TopRank®.